Holy shitake mushrooms you guys, I binged this book so hard I had to force myself to read the ending on a second night. Mostly because I wanted to prolong the awesome. 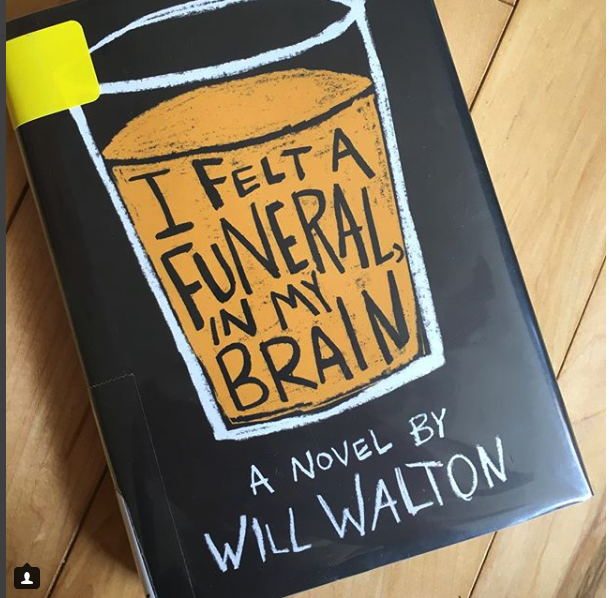 Astonishing doesn’t even begin to describe I Felt A Funeral in My Brain by Will Walton. This mashup of prose and poetry is a fearless rendering of addiction and loss through the heart and mind of Avery, a queer boy who turns to dead poets, and his own writing, to explore everything he’s feeling. Brilliant. I’m living inside today’s bright edges. I want to believe in something bigger. But it’s been a good cat summer. I mean…dang. This makes me want to be a better writer. But mostly, this is just a beautiful book. That you must read. Right now.